Classic Blueberry. Doesn’t get much better than that. 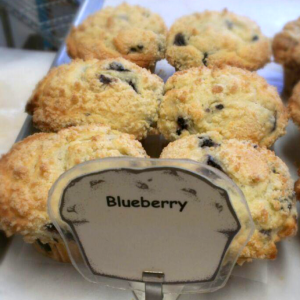 The blueberry muffin is like Stonehenge, it’s been around forever, no one knows who made it, and it has become the symbol of an entire culture. Yes, Stonehenge is analogous to Blueberry muffins. And it’s no coincidence that Frank had been studying the acoustic phenomenon of the monolithic structure on a Fulbright Scholarship when he first began to realize the profundity and simplicity of this muffin.